Hollybeary Creations : YNS Dec Release Sneak!! Hey everyone... Happy Wednesday!! 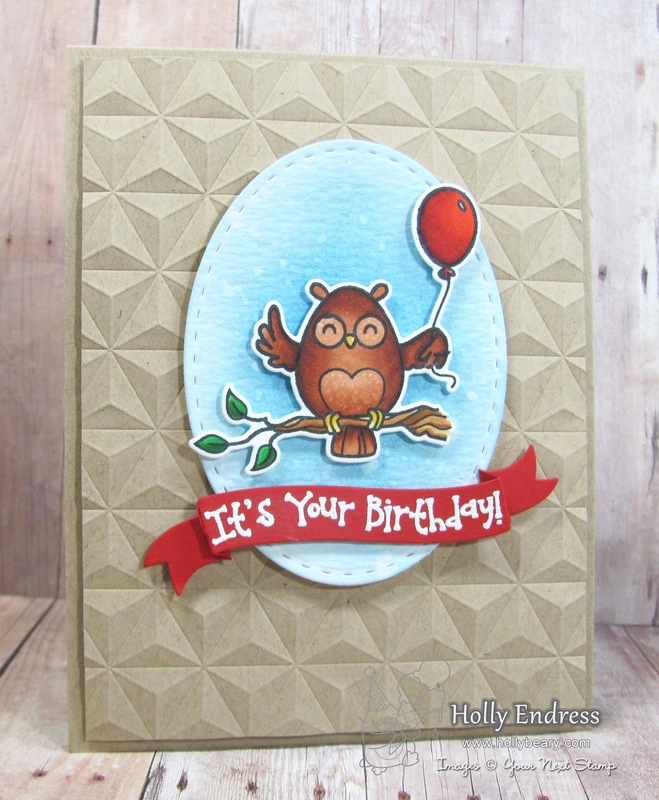 It's time for the Your Next Stamp New Release Sneak and I'm showcasing the super cute set Life's a Hoot and the Coordinating Dies. I created a Kraft Top folding card base and then I added another layer of Kraft that I embossed with a 3D embossing folder. Then I die cut a piece of watercolor card stock using the new Stitched Oval dies and added some Tumbled Glass Distress Ink to create a sky. 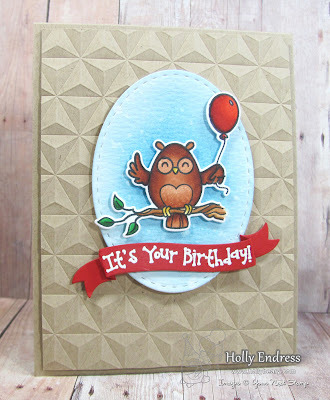 Then I stamped the Owl image onto some Neenah Solar White card stock and colored it in with Copics. I cut it out with the coordinating dies and adhered it with some Dimensional foam tape. I die cut a banner from some Red card stock and I stamped the sentiment from the Life's a Hoot set in VersaMark ink and heat embossed it in White. This came out super cute and wait until you see all the fun images in this set!!! Head over to the YNS Blog and take a peek at what the other Design Team members created and be sure to join us again on Thursday for the New Release Blog Hop! How totally cute! Love that owl!! 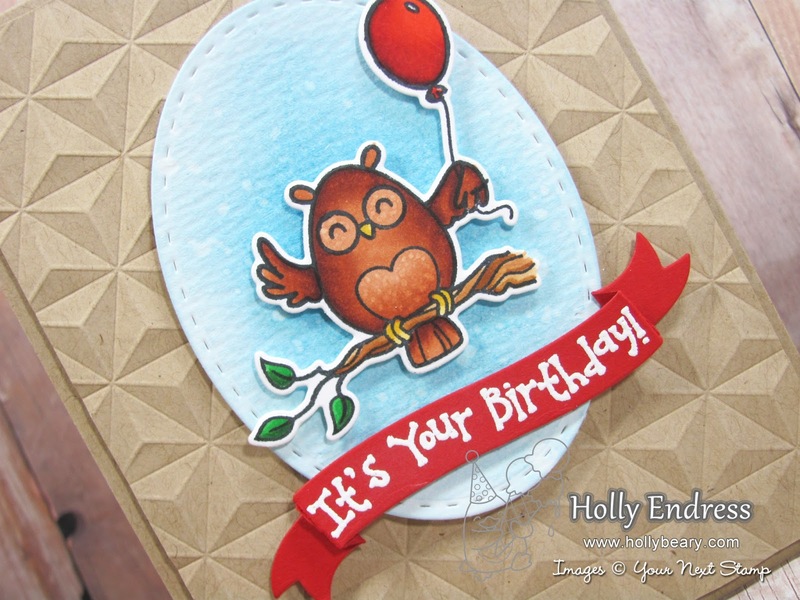 And that 3D embossing folder makes a super cool look! I love your design and Background!! Great news with this new release!! Regards.